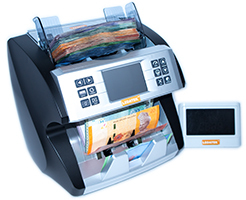 The CX-9600 is your ultimate tool for easy and effective counting and validation of banknotes. 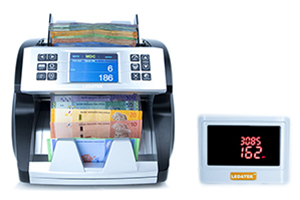 It offers professional-grade mixed-note counting and counterfeit detection of any denomination and in any orientation, and display the total value of the count, sub-total amount and total amount of the different denominations counted. 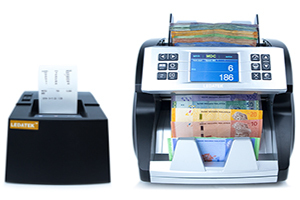 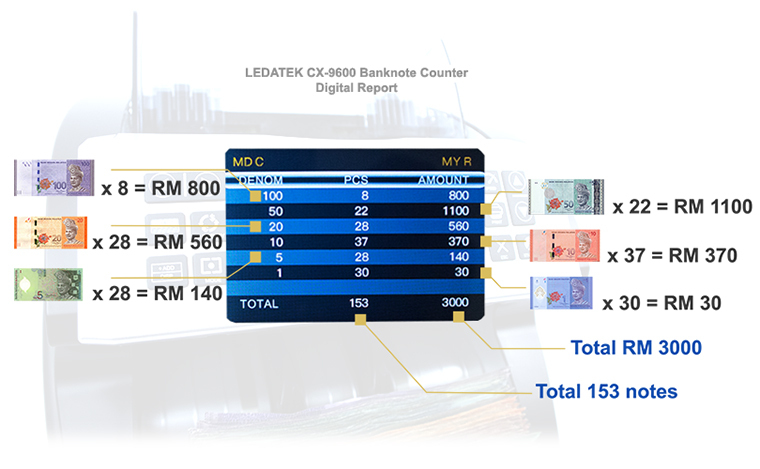 CX-9600 is able to count unsorted notes in MYR, SGD, THB, GBP, CNY, INR, USD and EUR. 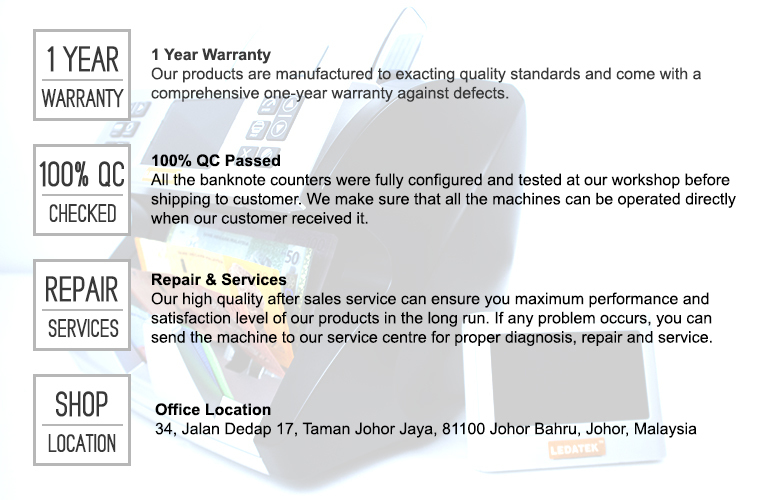 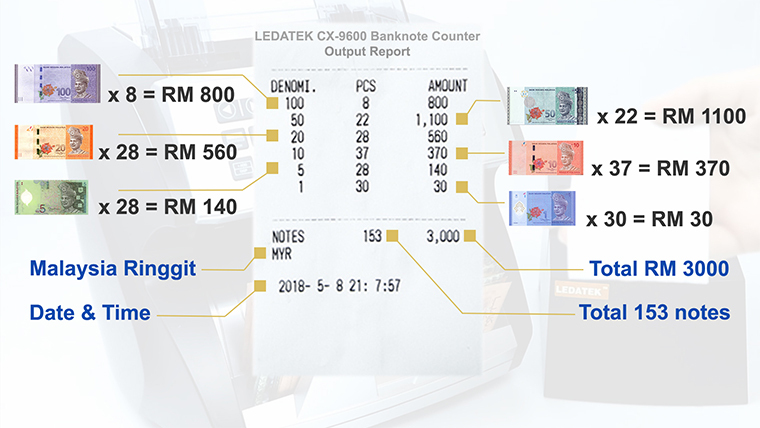 The LEDATEK CX-9600 uses the latest counterfeit detection technology to verify up to six advanced security features on the currencies: ultraviolet ink, infrared ink, magnetic ink, metallic thread, size and thickness. 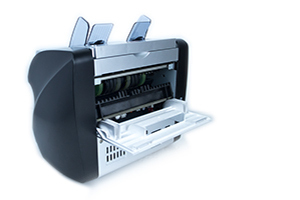 Featuring a print function, you are able to print report just in one click. 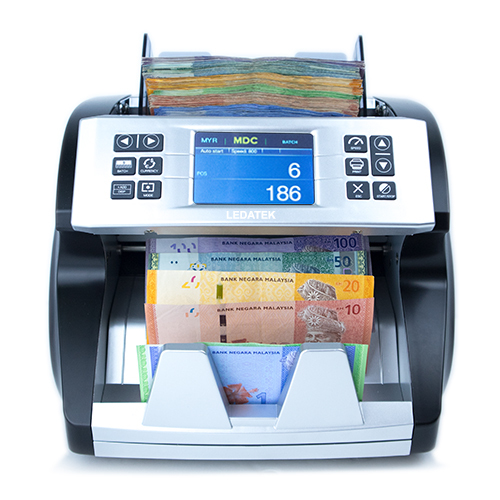 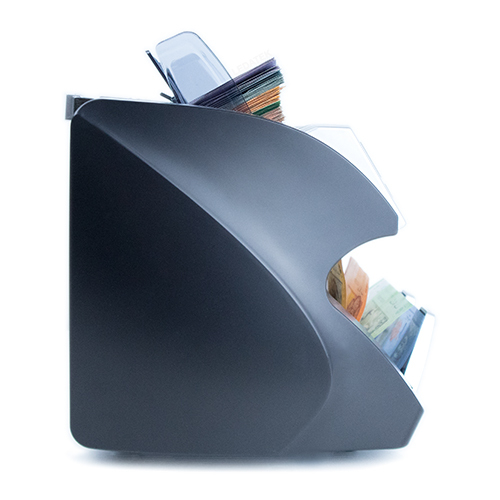 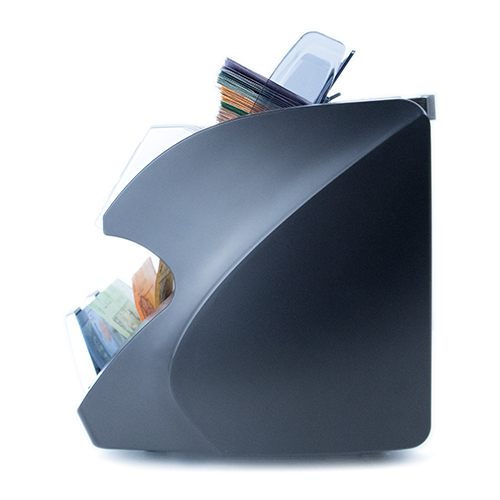 Ensure trouble-free when banknote jam occurs. 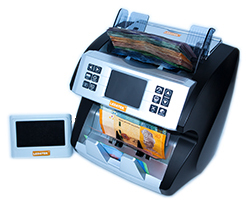 User can open the back cover and simply remove the jammed banknote in a second.